In comments on a post at Get Rich Slowly, several people felt that what you major in doesn't matter since people end up in other fields or employers don't care what your major is. As an engineering major working in the engineering field that doesn't really apply to me, but I know engineering is different than many majors in this respect. I've previously talked about the Heldrich Center and their data on what percent of recent grads got jobs in their field. Here's a report from them. However they didn't cover how it looks for different majors. The data is from 2008 but the report is from August 2012 so its the most recent data they have. While its not very new, I doubt the overall trends have changed much other than higher unemployment during the recession. I'm looking at just the grads with bachelors degrees which is in Table 1 of the report. They also dissect the data other ways looking at gender, ethnicity and other factors. 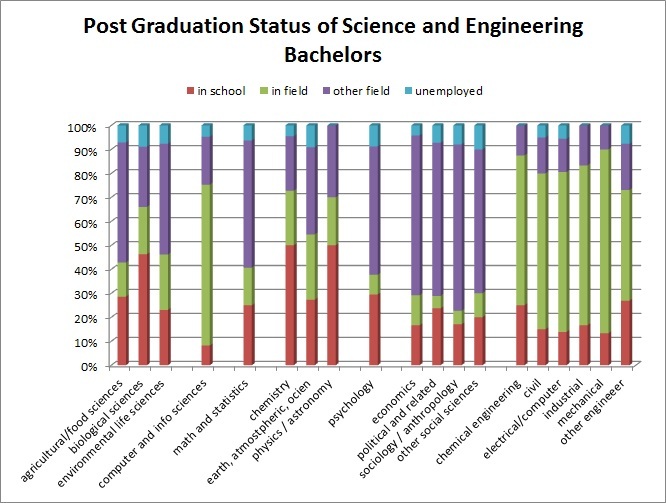 The majority of engineering grads and computer science end up in the sciences/engineering fields or back in school. 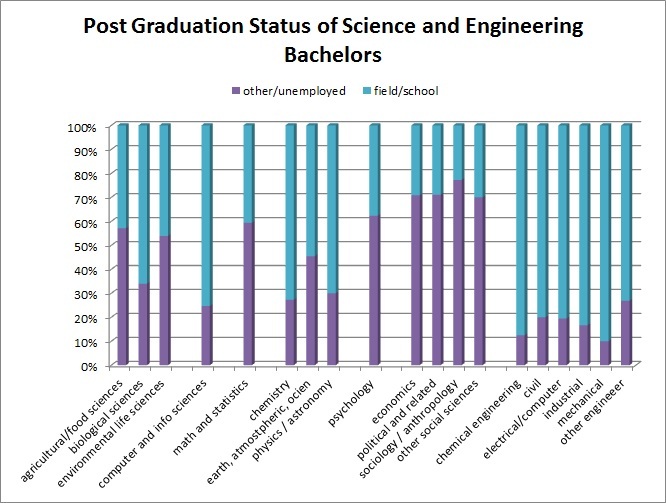 The majority of social sciences end up in other fields or unemployed. The physical science grads are a mix with a higher percent in school again. 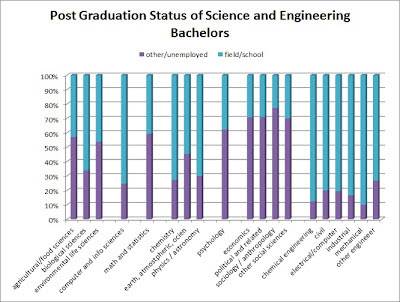 At the extremes you can see that 70% of sociology/anthropology majors end up in fields other than science or engineering and 77% of mechanical engineers end up in the science/engineering fields.